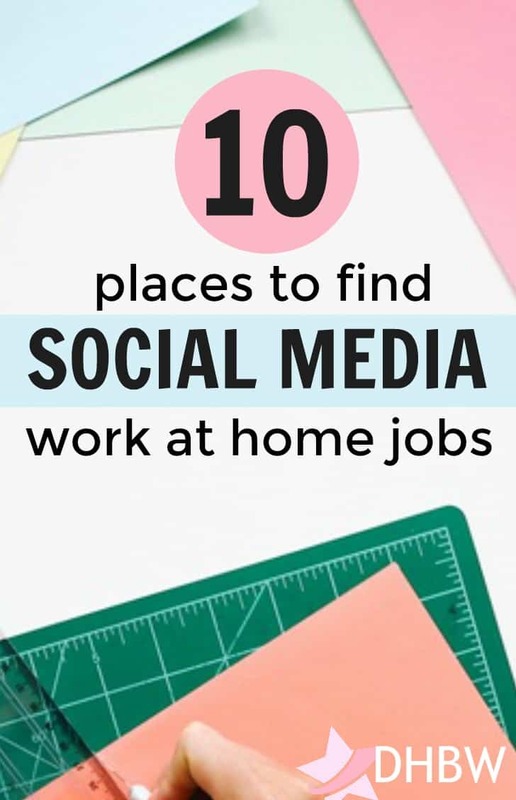 If you spend lots of time on social media sites like Facebook, Twitter, and Pinterest, this post can help you find several social media jobs online. There are many companies and people who need help to grow their social media presence by promoting their products, services and brands to their targeted audience. Just about everyone has at least one social media account, so why not use it to earn good money. What Are Online Social Media Jobs? Social media jobs involve helping companies of all sizes, blog site owners, and entrepreneurs to build an active and engaged audience. Corporations and people from around the world know how important it is for them to use the power of social media. Knowing what to post and when, how to create engaging content and run social media marketing campaigns to build an active and engaged audience can be overwhelming. Keeping up with various social media platforms requires a lot of time and effort. What Type of Tasks Will I Perform? Managing their Facebook page and Facebook ads. Creating content like articles, messages, etc. You may work as a content curator, proofreader or moderator depending on the social media job and your skills. Where To Find Social Media Jobs Online? As a social media assistant with eaHELP, you will manage and execute your client’s social media campaigns. The company has been in business since 2010 and service the needs of their clients nationwide. They offer competitive pay which is not advertised anywhere on the internet. eaHelp mainly looks for self-motivated individuals that are comfortable with navigating through various computer programs. Yelp only hires from specific locations so if you want to work for them as a community manager, you will need to go to their website and on the “jobs” page click on the “community” button to see if you are in an area that they are hiring from. This is a part-time gig with the potential to go long term. If you know how to moderate a website, blog, forum site or social media site, becoming a Modsquad social media moderator can be a great way to work from home. You will work as part of an experienced team of managed professionals to help companies stay on top of their online presence in respective industries. As a social media moderator, you will interact with your client’s customers via chat, email, social media channels and forums. Appen is a global company that hires social media moderators along with search engine evaluators, transcribers, and translators. This is a work from home opportunity that offers a flexible schedule. Your job will be to improve the relevancy of the client’s news feed. You will be required to work 1-4 hours a day, 5 days a week. Some projects may require you to work at least on one of the weekend days. If you are a daily social media user, able to follow instructions, work independently and are a good communicator, working as a social media evaluator can be a rewarding job for you. Time Etc is a reputable virtual assistant company that also hires social media assistants for their clients. You will use your social media experience to help clients promote their businesses. Tasks can include writing posts on Facebook, tweeting and retweeting, and much more. This position generally offers flexibility as long as you are available to work during normal business hours as needed by the client. Indeed.com is a massive job site where you can find social media jobs advertised by smaller brands or companies, startups and other clients. You can search the site to find any available social media jobs. Many clients, particularly small companies post remote social media jobs on this site. Just type the keyword “social media” in the “what” box and “remote” in the “where” box below, then click “Find Jobs”. 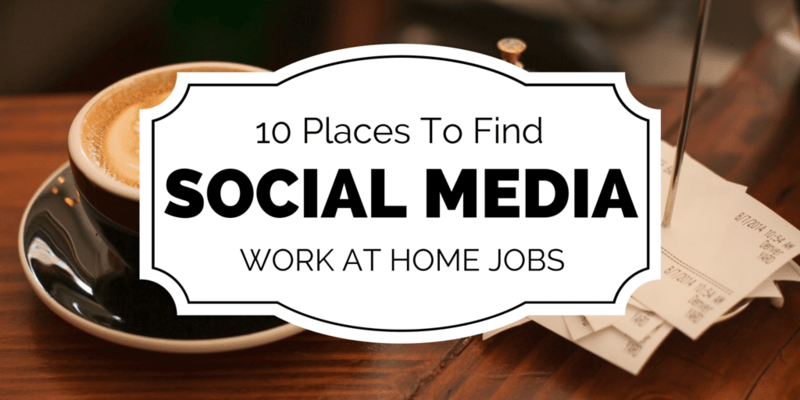 You will find a variety of social media work-at-home jobs on Indeed.com. Remember to do your own research diligently. Upwork is a large freelancing site where thousands of jobs in a wide variety of industries including social media are posted daily. If you have social media skills, you will find plenty of social media jobs on Upwork. Clients can range from small companies to large corporations to busy professionals and bloggers. Sign up to the site and then create a professional profile listing your skills to apply for social media jobs. You may find work as a social media moderator, social media marketer, social media manager or consultant depending on your skill level and the client’s project. If you know how to engage an audience on social media, how to write well, manage social media for a company or individual and increase social presence of a company online, there are plenty of social media jobs to pursue on Mediabistro job board for you. Depending on your skills and the clients’ needs, you can work as a social media manager, director, coordinator or consultant. Crisp Thinking hires social media moderators to work as independent contractors both in the US and in the UK. The company operates 24/7, and a minimum of at least 15 hours of work is required per week. The starting pay is around $10 to $15 hourly. Basic computer requirements include: Updated PC or laptop with Windows 7 or above. FlexJobs is another great site that offers social media job listings but the site charges a monthly subscription fee to access their job board. The site makes job search experience easier, faster and safer as FlexJobs hand-screens every job and company for legitimacy. So if you do not mind spending a bit of money every month, FlexJobs can be a great site for finding not only social media jobs but also all types of freelance and telecommuting jobs. How much you can make as a social media expert depends on your skills, and duties you carry out. Many clients will pay you more to do specific social media jobs. You may be able to earn anywhere between $13 to $30 an hour as a pure social media consultant or marketer working part-time. If you are responsible for brand awareness you can earn $30-$60 per hour and if you do lead generation via social media, you can earn $100 per hour or more. If you know what to post and when, are able to create engaging content and run social media marketing campaigns to build an active and engaged audience, social media jobs are the best fit for you. Lots of companies and people from around the world are looking to outsource their social media activities to social media experts like you. So if you have the right skills, check out the following sites listed above. Good Luck!